The Children's Services Department offers a variety of materials and programming for children and their families. March Madness may be over but the battle is just beginning! 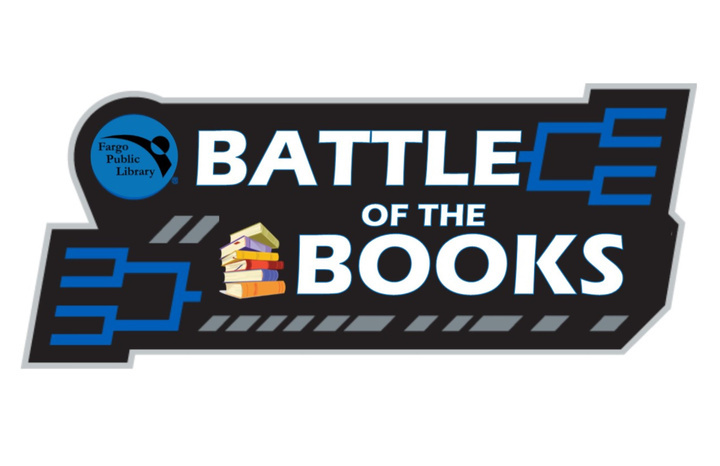 Join us for the Fargo Public Library's second Battle of the Books tournament. Sixteen books will battle, but only one will win! The Battle officially kicks off on April 1. The top eight chapter books suggested by the public will battle with eight chapter books chosen by library staff. Stop by the Main Library every two weeks beginning Monday, April 1, and vote to make sure that your favorite advances to the next round. Correctly predict the winner and you could win a prize! For more information, contact Children's Services at 701.241.1495. Winner will be announced Tuesday, May 28. Crafternoons returns to the Dr. James Carlson Library on Mondays from Jan. 28 to May 20, and to the Northport Branch on Tuesdays from Jan. 29 to May 21. Children up to age 12 are welcome to drop in anytime between 3 and 4:30 p.m. to get crafty at the library. Each week features a new craft. No registration is required to participate. We supply the materials – you supply the imagination! Please note: the same craft is featured at both locations. 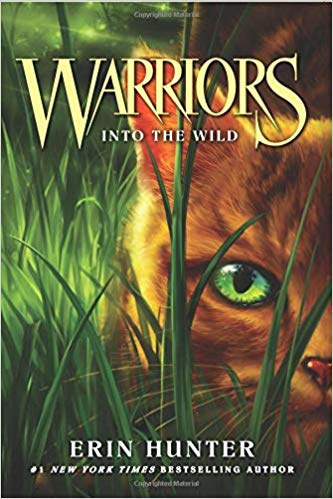 Kids in grades 3 to 7 are invited to join our book club! One Wednesday each month we meet at 4 p.m. at the Main Library. We read and experience a new book through related activities, discussion, snacks and crafts. Pre-register and pick up a copy of the current book at the Children's Desk or call 701.241.1495. Wednesday, May 15 – Movie Day! 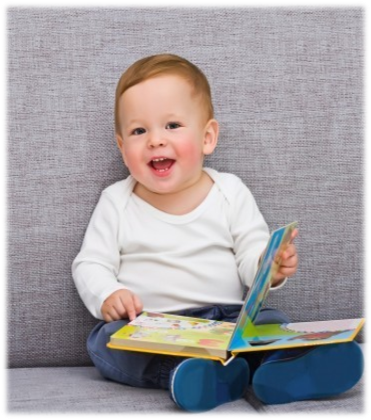 Babies ages birth to 18 months are invited to join us on Thursday, April 18, for the next sessions of lapsit storytimes. Held the first and third Thursday of each month, Baby Rhyme Time takes place at the Dr. James Carlson Library at 10 a.m., and at the Main Library at 6:30 p.m. Share songs, fingerplays, short books, rhythms and rhymes with your baby while introducing them to books and the library! Each session concludes with open play time. No registration is required. One child per grown-up lap please. Drop in to one, or all, of these special storytimes focused on preparing your child for Kindergarten. Library staff will share tips you can use to instill a love of reading in your child and help get them ready to learn - all while having super storytime fun! These are parent/child storytimes geared for your child's success; therefore we ask one adult per child to keep the learning to the maximum. This program series will be held at the Main Library and is most appropriate for children ages 3 to 5. No pre-registration is required. Activities will follow each storytime session and every child will leave with a new book! Saturday, April 20 at 10 a.m. – Make It Count! Saturday, May 25 at 10 a.m. – Do You See What I See? 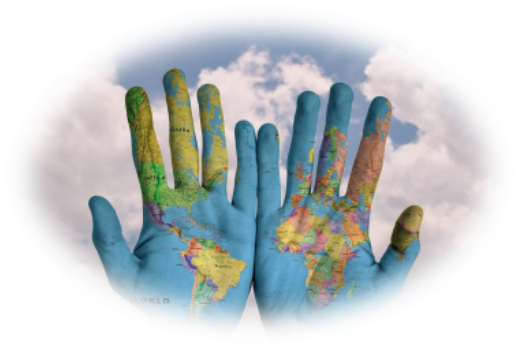 Celebrated around the world on April 22, Earth Day is an annual event highlighting environmental protection and harmony with nature. This year, along with the City of Fargo, we'll have activities to help our community keep our Earth beautiful. On Monday, April 22, at 6 p.m. at the Main Library there will be a tree planting expert on hand, as well as a tree giveaway sponsored by the North Dakota Forestry Service. A recycling expert will show us how to reduce, reuse, and recycle. Weather permitting, we may also assist our parks department and pick up litter at a nearby park or along the river. This event is most appropriate for families with children ages 4 and up. No pre-registration is required. Are you a little sweetie? 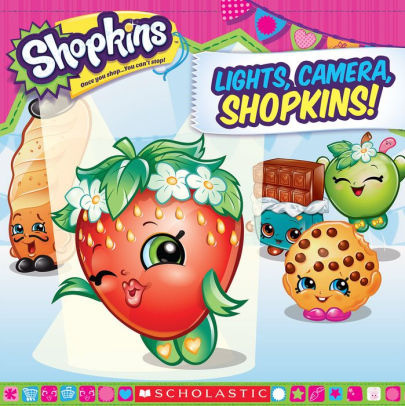 Welcome to the Shopkins' Sweet Shop at the Main Library on Saturday, April 27, at 11 a.m. Here you can express your creativity, learn some cooking techniques, and satisfy your sweet tooth all at the same time! Inspired by some of your favorite Shopkin characters, we'll decorate Queen Cupcake, make caramel apple slices out of Apple Blossom, and even dip Strawberry Kiss in chocolate for a special treat! This event is open to children ages 4 to 10. Pre-registration is required and may be completed online or by calling Children’s Services at 701.241.1495. 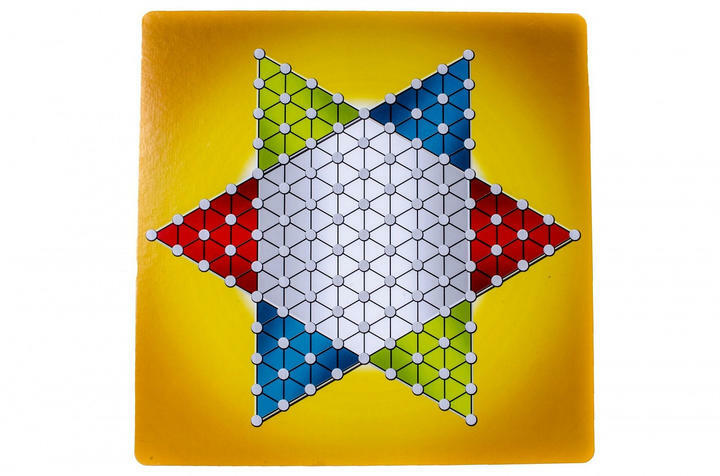 Try out a new game from the library’s collection or bring a favorite to play with family and friends. Join us for any of these family friendly Board Game Blowout events at the Main Library, where we will feature a new game each month in addition to having a variety of games available for free play. No pre-registration is required. This event is open to children, teens, and adults of all ages. Saturday, Apr. 27 at 2 p.m. 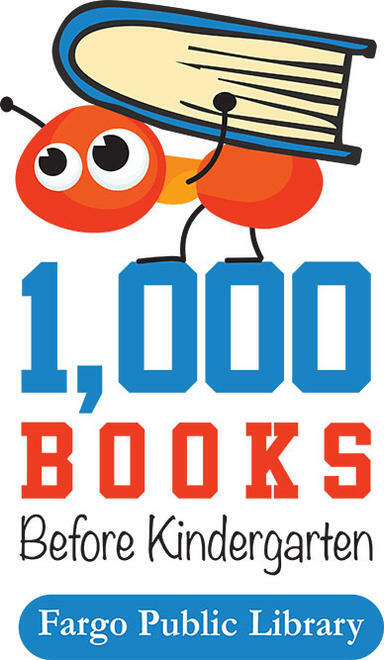 It's been a little over a year since the Fargo Public Library introduced the 1,000 Books Before Kindergarten program to the community and the response has been extraordinary! Help us commemorate our first anniversary with a party. Whether you've completed 10, 100 or 1,000 books, come celebrate your success at the Dr. James Carlson Library on Tuesday, April 30 at 10 a.m., or at the Main Library on Saturday, May 4 at 10 a.m.! Don't know what the 1,000 Books program is? Stop by to find out more information and sign up. These events are open to all ages, but are most appropriate for children ages 5 and younger. We'll have read-aloud activities, crafts, and snacks! No pre-registration is required. Worms and Dirt and Gnomes, Oh My! North Dakota Master Gardeners will give the dirt on all things botanical at a family gardening event at the Dr. James Carlson Library on Saturday, May 4 at 10 a.m.! Get first-hand experience with the process of pollination and learn about the food you eat. 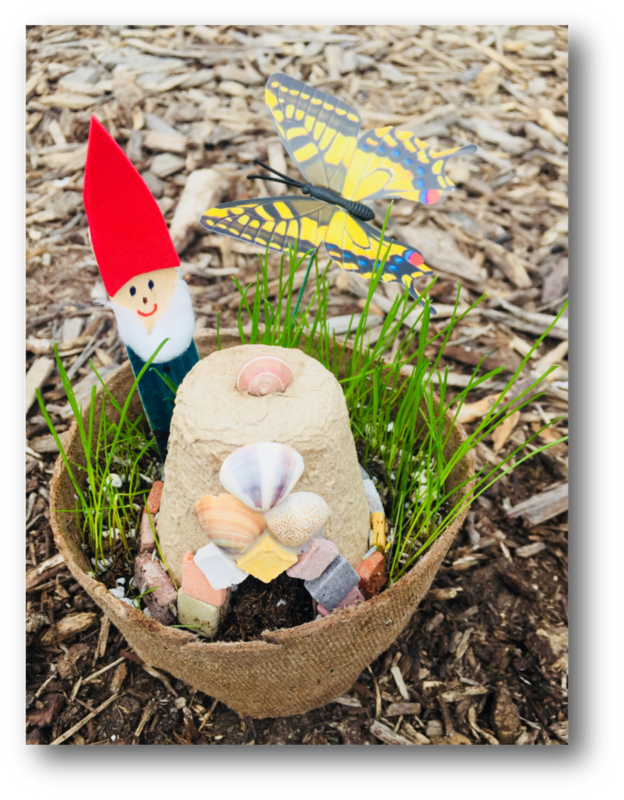 Make your own gnome hideaway and enjoy the magic of germination. Discover how to use sunlight to create fantastic foliar prints. For those kids who don't mind a few creepy crawlies, make your own mini-vericomposting bottle and learn how you can compost at home. This event is open to ages 4 and up. No pre-registration is required. If you have any questions or comments, please contact the Children's Services Department. We'll be happy to help!